1 What Is Serum Sickness? Serum sickness is similar to an allergic reaction. This disease normally occurs within 10 days of first exposure to unfamiliar materials. It is marked by a rash on the skin, pain, swellings in the joint and fever. Serum sickness normally disappears after some days of developing it. This condition can happen to anyone particularly those going through antiserum treatment. Both men and women are affected. Serum is also called plasma, a transparent constituent of the blood. It has antibodies, a form of protein. Antiserum is obtained from the human or animal serum. Antiserum protects the body against antigens and neutralizes bites from venomous snakes and other lethal creatures. Antiserum also protects the body against infections such as rabies and tetanus. Serum sickness develops when antiserum is injected in your body. Your immune system wrongly recognizes protein in serum as a strange material in the body. The immune system secretes antibodies to battle the dangerous unfamiliar materials in the body. While these antibodies are fighting the antigens, they attach to each other during the process and pile up in your blood vessels, lymph nodes and other areas of the body. The accumulation of antigens and antibodies in your body leads to inflammation and the beginning of serum sickness. Some medications can also cause serum sickness. Thymoglobulin is a drug obtained from rabbit and is used to treat organs that have been rejected during transplant process. 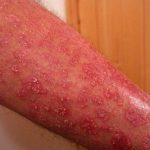 This drug causes many side effects such as painful allergic reaction which leads to rash, hives and itching. This side effect can trigger serum sickness. Another drug that can cause serum sickness is rituximab. This drug assists in treating cancer and enhancing the immune system. Rituximab causes many undesirable side effects such as severe allergic reaction which can promote serum sickness from developing in people who use this drug. Once you are exposed to antiserum and drugs, the signs and symptoms of serum sickness will start manifesting within three weeks. In some cases, serum sickness can recur, when this happens you will notice symptoms within three days after antiserum injection. People with this condition will start to experience high body temperatures or fever. 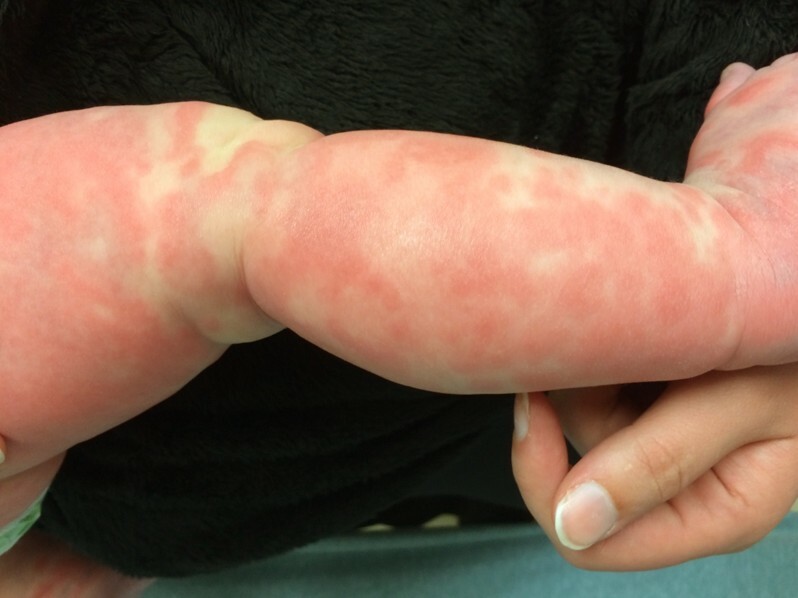 A rash forms on the skin of the patient. Patients feel pain in the joints as well as swellings around the joints. Other symptoms of this condition include a swollen face in some people. Pain in abdomen which is followed by the nausea and headache is also common. 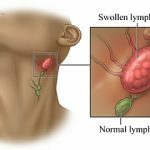 Lymph nodes can become enlarged in some people. Other people have complained of itching on the skin and loss of vision. This is a condition that causes myocardium, the medial layer of the walls of your heart to become inflamed. This disease affects the cells of the hearts muscles as well as its electric system hence lowering the pumping power of the heart. This leads to abnormal heart rhythms. Viral infections are responsible for causing myocrditis. In case this condition is severe, it weakens the pumping power of your heart which deprives the rest of your body blood and nutrients. It can also lead to blood clot forming in your heart which can cause serious complications such as heart attack or stroke. This condition occurs when peripheral nerves are damaged. This can be due to infections, metabolic disorders and injuries. Peripheral nervous system conveys information from central nervous system to the rest of the body. The system has many nerves to assist in specific functions in the body. These nerves include: sensory, motor and autonomic. This condition can affect one or many nerves in your body. This is a serious response to an allergy. This condition makes your immune system to produce chemicals that lowers your blood pressure and constricts your airways affecting breathing. Anaphylaxis can cause a rash to form on your skin, nausea and vomiting. It can also weaken your hearts pulse. Your doctor physically checks your lymph nodes for swellings and tenderness. A doctor will also need your medical history including past and present medications you have been using to understand the problem. A sample of your blood will be taken and analyzed to check for Vasculitis, a condition that causes inflammation of blood vessels. Blood test can also reveal presence of immune complexes, antibodies and abnormal complement levels in the blood. Your doctor can also take a sample of your urine and assess it for the presence of proteins in the blood. In case you have a rash on your skin, your doctor can perform a skin biopsy to determine the cause of the condition. 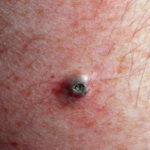 Your doctor will scratch a sample from the affected skin and observe it under a microscope for any abnormalities. Additional test will be done to confirm the diagnosis. Antihistamines and steroids: These drugs can assist reduce itchiness. Non-steroidal anti-inflammatory drugs: They are used to treat fever and inflammation. Corticosteroids: These medications are used to treat inflammations for a short period. Epinephrine: This drug can be used to reduce your body’s allergic reaction especially anaphylaxis condition. Although there is no method of preventing serum sickness, you can take measures to minimize its effects. You should avoid use of antiserum and other medicines that cause serum sickness. In addition, seek medical attention immediately symptoms begin after exposure to serum and other medicines.